I know it was inevitable, but it seems clear that our nine-year old Sebastian no longer believes in Santa Claus. I do not know that for sure since I can’t really ask him directly, but this year the talk about jolly old Saint Nick has not been scarce, it has been non-existent. 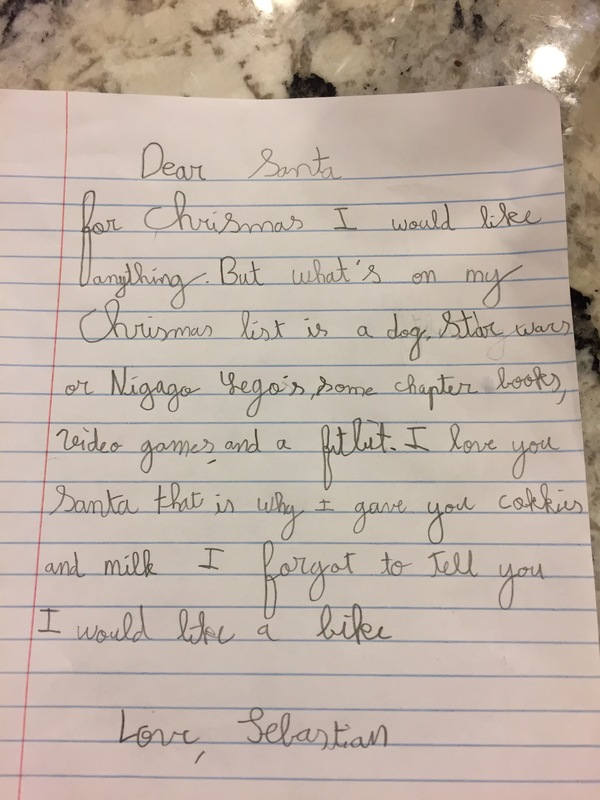 So as I lament the erosion of yet another aspect of his childhood, I leave you with a picture of his Christmas list from last year, when he still appeared to believe…. How sweet… yes it’s a bittersweet Christmas when they no longer believe.